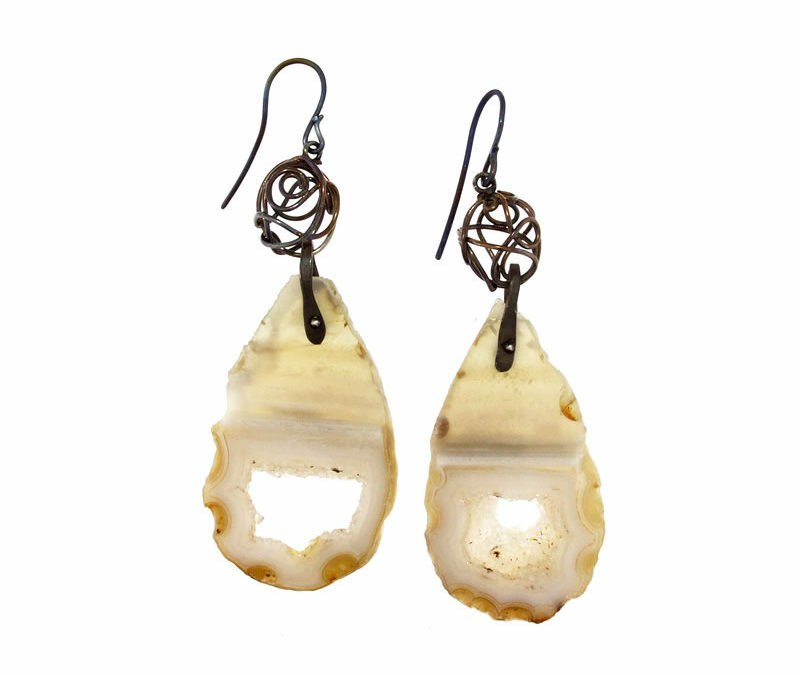 Golden grey finish titanium wire earrings with agate geode drops with original central micro-crystallization. 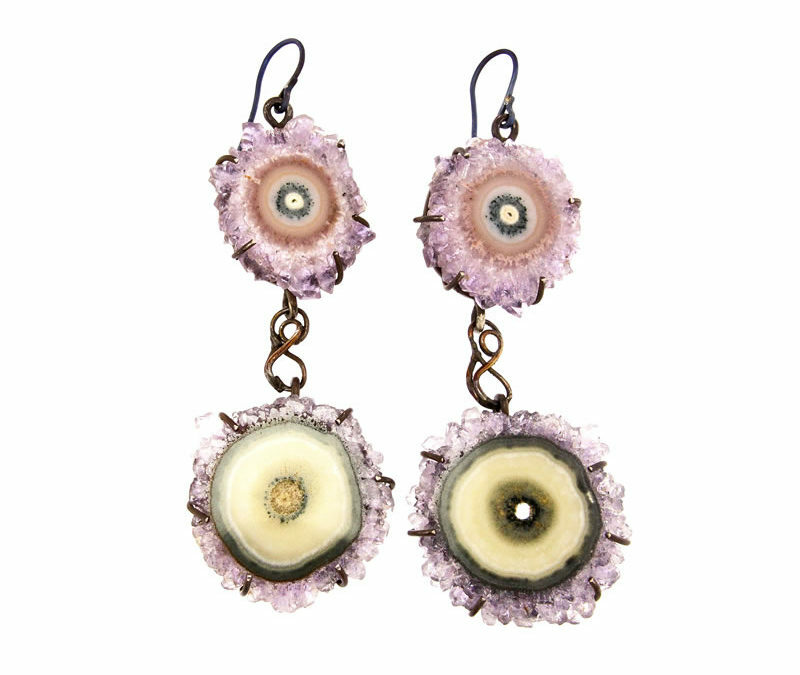 Golden grey finish titanium wire earrings set with amethyst stalactite slices with original central micro-crystallization. 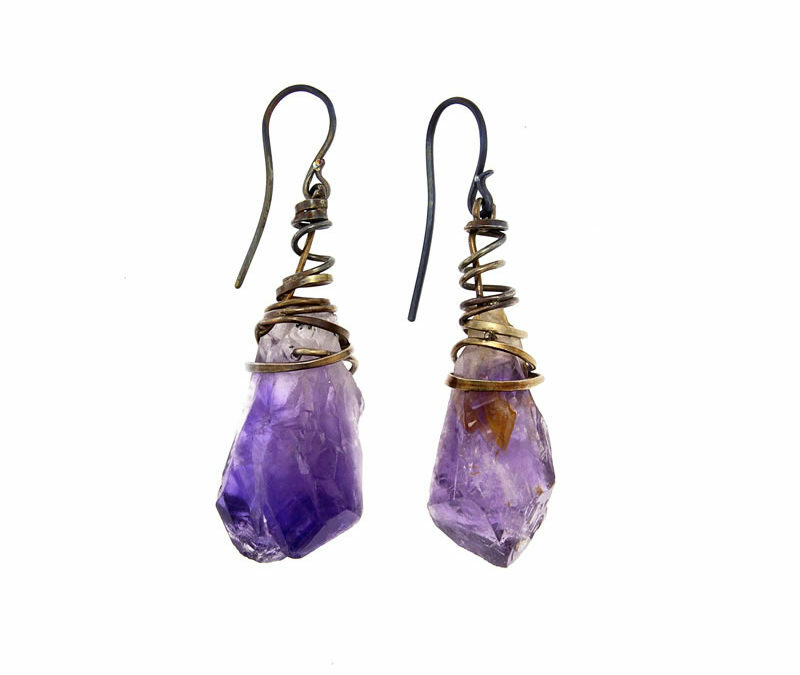 Golden grey finish titanium wire earrings with naturally terminated crystal-shaped amethyst tips. 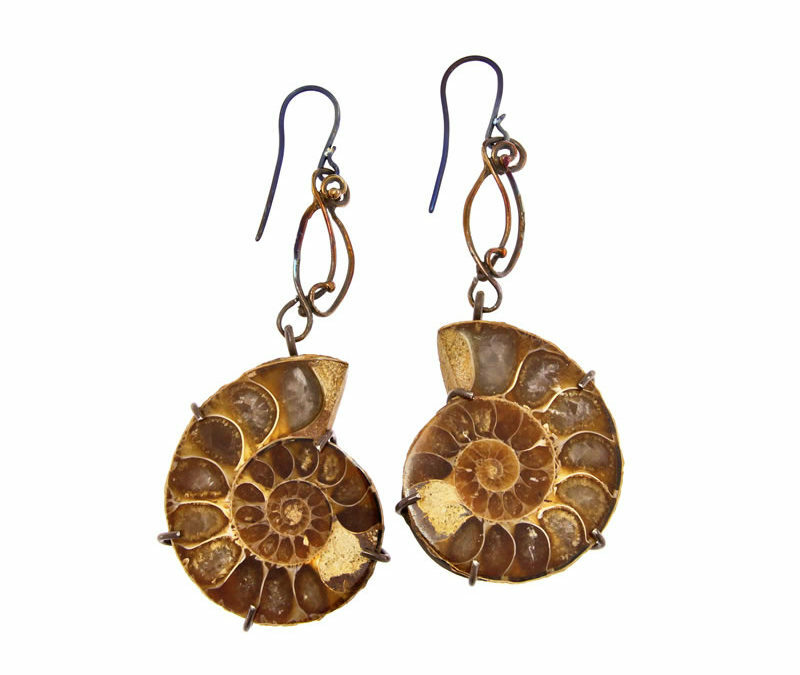 Golden finish titanium wire earrings with ammonite fossils. 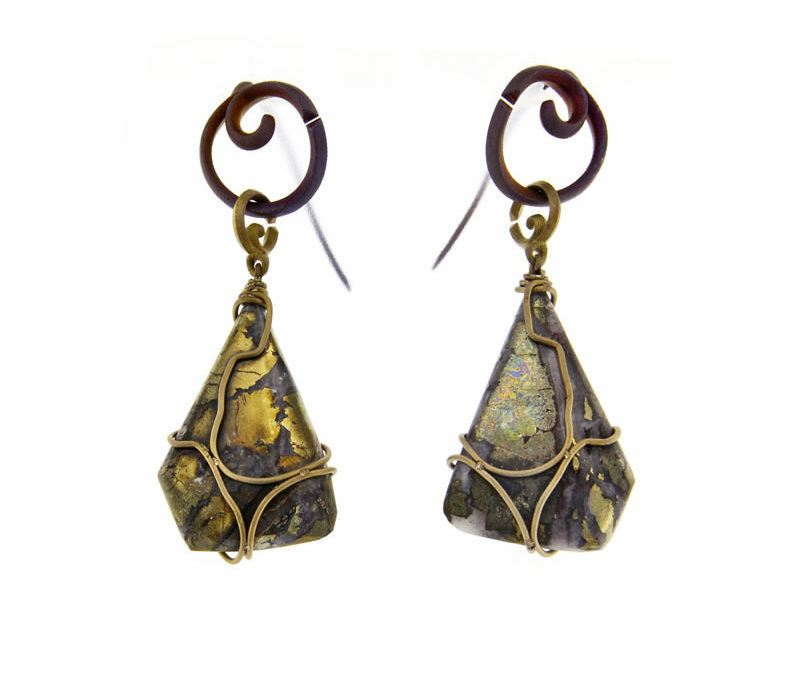 Golden finish titanium wire earrings with chalcopyrite drops. 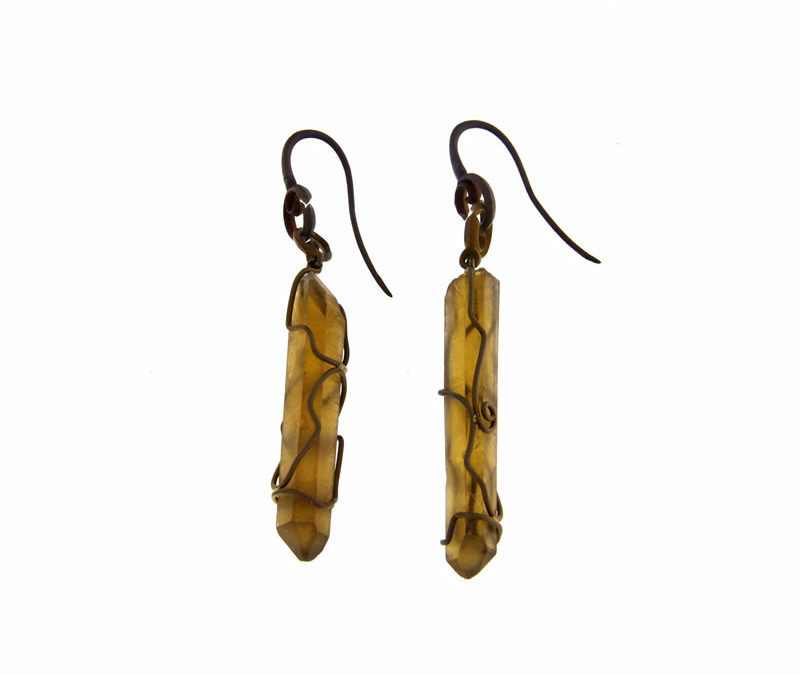 Amber finish titanium wire earrings set with two naturally terminated crystal-shaped citrine quartz tips.